The mechanical nests features larger nest openings to give hens more room to lay without compromising privacy. The molded plastic bottom is curved to fit the shape of the hen and feel more natural. 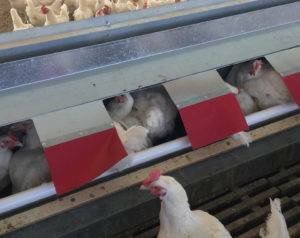 Hinged close out lids can be run automatically to control hen access. Available in side belt and center belt configurations.